AMD showcased its first volley of Ryzen PCs and AM4 motherboards at the CES 2017. At the time many potential Ryzen customers were interested if their trusty old coolers would be compatible with the new socket. After all who wants to replace perfectly functioning and serviceable kit, considering all the other expenses with updating a PC platform. Luckily several cooler companies showed their support for customer investments pretty sharply. Among the first to announce free AMD AM4 upgrade kits for customers were; be quiet!, Enermax, and LEPA. 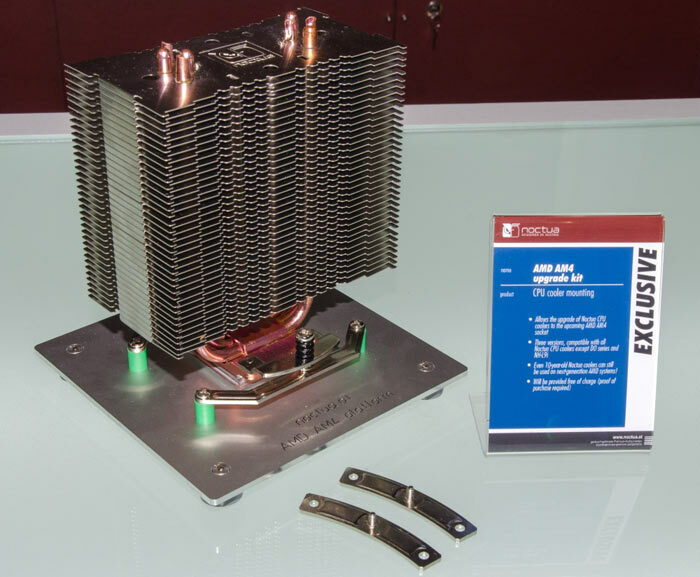 Others who neglected to update HEXUS on their plans but are going to provide the necessary parts for cooler connection to an AM4 socketed chip include; Noctua, and EKWB, and there will hopefully be more before AM4 / Ryzen hits the shelves. 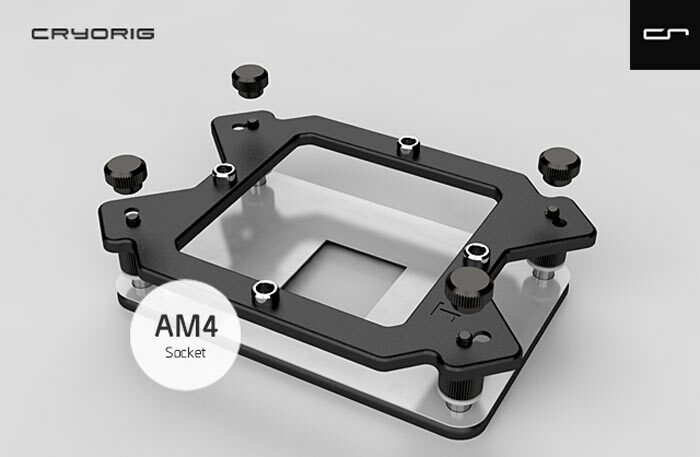 Today both Phanteks and Cyrorig announced free cooler upgrade kits for the new AMD AM4 socket. Phanteks says that starting today its AM4 upgrade kit will be sent out to customers with the necessary paperwork. You will need a copy of the Phanteks cooler purchase invoice, plus a copy of the purchase invoice for an AMD AM4 motherboard or AMD Ryzen processor. These need to be emailed to support@phanteksusa.com (North America), or support@phanteks.com (other worldwide regions). Phanteks notes that all future cooler products it makes will include the necessary mounting bracket for AM4 support. Cryorig says that all owners of existing AMD supported products will be able to apply for its free AM4 upgrade kits. As with Phanteks, after AM4/Ryzen becomes available to purchase, Cryorig coolers will all come packing the necessary AM4 fitting accessories. Existing eligible Cryorig products include; R1 Universal/Ultimate, C1, H5 Universal/Ultimate, H7, H7 Quad Lumi, M9a, C7, A40, A40 Ultimate and A80. Proof of purchase (or product registration number) of the Cryorig product is required, as is a receipt for an AM4 or AMD Ryzen component. Send your receipts and postal address to support@cryorig.com. It is noted that local distributors and select channels will also have Cryorig AM4 upgrade kits available. We just got an email from Noctura detailing its AMD AM4 free update program. 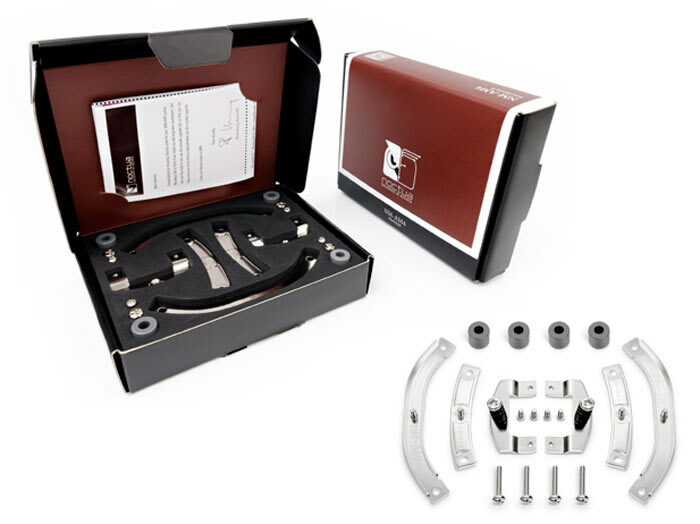 Noctura says that its new SecuFirm2 mounting-kits are backwards compatible with most Noctua CPU coolers manufactured since 2005 and will be available via resellers and free of charge via Noctua's website after uploading a proof of purchase. There are two different SecuFirm2 mounting-kits being made available (the NM-AM4 and the NM-AM4-UxS kit) but you will get the correct one as it depends on the product model you register and have a proof of purchase for. 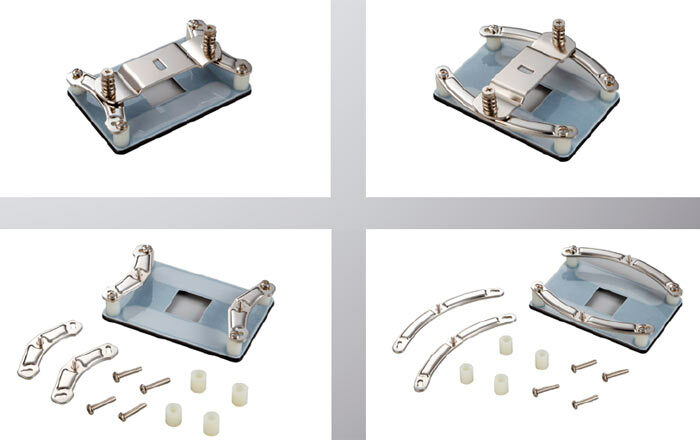 Noctura's kits allow for flexibility in mounting orientation to provide optimal airflow in your chassis. With the kits equipped Noctura promises "optimal compatibility, perfect contact pressure and easy, straightforward installation". As with other cooler manufacturers, Noctura asks only that you make contact with your proof of purchase (CPU cooler) plus similar documentation for an AM4 motherboard or AM4 CPU. If you've bought your Noctura cooler so long ago you have no record of the purchase take a photo of the cooler next to a piece of paper with your name, address, and current date. Shipping takes between 1 and 4 weeks. Alternatively the NM-AM4 and NM-AM4-UxS kits will be available at retailers for EUR 7.90/USD 7.90. Also looking at cooler master for my Nepton 140XL. There are two different SecuFirm2 mounting-kits being made available (the NM-AM4 and the NM-AM4-UxS kit) but you will get the correct one as it depends on the product model you register and have a proof of purchase for. Noctura's kits allow for flexibility in mounting orientation to provide optimal airflow in your chassis. With the kits equipped Noctura promises “optimal compatibility, perfect contact pressure and easy, straightforward installation”. Come on Ek dont want to have to buy another block for my next cpu upgrade.